We’re an independent charity shop located in the heart of Shipley; selling high quality, traditional charity shop wares; clothing, shoes, household items, books, dvds and toys, as well as a range of brand new goods including wooden garden products made by our clients in our very own woodwork skill shop. Located just off Shipley Market Square, our bright and busy charity shop is bursting with bargains. We sell a fantastic range of donated and new items, so whether you’re looking for a modern look or a vintage gem, our shop is the ideal hunting ground. Our range of good quality pre-loved items include men and women’s clothing and shoes, accessories and bags, children’s clothes and toys, books, music, dvds, games and household items. We also stock a number of items made at our main charity site, including a range of jams and chutneys handcrafted in The Cellar Trust Cafe and a number of different garden planters and bird and animal boxes made by our clients in our woodwork skill shop. We also stock a range of greeting cards, canvas Cellar Trust bags and vouchers for The Cellar Trust Cafe. Well then think of us! Our charity shop is always in need of good quality donated stock – do you know a bag of donations could raise £20? Help us turn your unwanted clothes and other items into cash to fund life changing work in our local community. You can drop off donations directly to our charity shop or to our main site in Shipley. All donations must be clean and useable; if you wouldn’t buy it, then it’s likely we won’t be able to sell it. Were possible we sell your donations, but when clothing is unsuitable for resale, we can sell it on to our dedicated rag merchant who recycles it. Please contact us if you are a company that would like to donate end-of-line, samples or surplus stock. We cannot sell anything that would be unsafe for you to buy, so please don’t donate anything that is broken, dangerous, unhygienic or illegal such as; medication, used dentures, jewellery for pierced body-parts, opened cosmetics, hazardous substances, weapons or realistic toy weapons. We’re different to the other charity shops that you’ll see in Shipley town square – we’re more than a charity shop – we’re a supportive retail training environment where people recovering from mental health problems come to learn retail and customer service skills as well as build confidence and self-esteem. Your custom gives opportunity and experience to our clients; while you shop, they’re learning about sorting stock and merchandising, and when you buy something, they’re building confidence handling money and improving their customer service skills. We are always looking for enthusiastic, friendly volunteers to join our dedicated shop team. 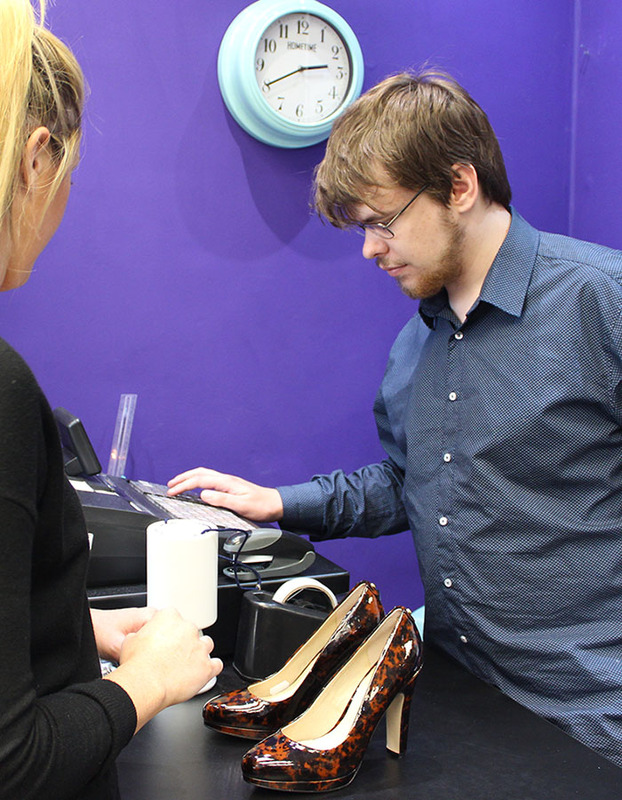 Volunteering in our charity shop can be a very rewarding experience and no special skills are required as full, on-the-job training is provided. There are a variety of tasks to get involved with, from sorting goods to dressing the windows, to serving customers and operating the till. We’re open 6 days a week, so we can be very flexible in offering shifts to suit you. Get in touch to find out more. We’re open 9.30am – 4.30pm, Monday to Saturday.